Ukraine’s economy will only start to revive in 2016, with domestic demand remaining weak through the whole of 2015, Ukrainian economists warned at a news conference on Tuesday. The size of the dip in domestic consumption will determine the rate of economic recovery, experts said. "2016 is the year in which economic growth could be resumed, [but this] will depend on the investment climate," said Valeriy Heyets, the director of Institute of Economics and Forecasting of the National Academy of Science of Ukraine. He said Ukraine’s economy shrank by 3.5% from January through September 2014. 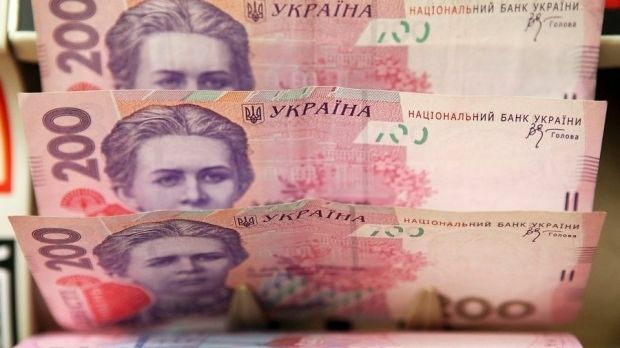 Heyets said domestic demand could be stimulated by increased government orders in the military-industrial complex, the boost to Ukraine’s export potential on the back of the weakened hryvnia, and the attraction of financial resources from international organizations, including in the form of investments. At the same time, economist Andriy Blinov noted that according to official statistics, real incomes in Ukraine dropped by about 5% over the first nine months of 2014. However, in dollar terms, incomes decreased by 30%, with GDP down by 45% in dollar terms. Blinov also sees zero economic growth for Ukraine in 2015, followed by recovery in 2016. As for the devaluation of the national currency, the trend will remain at a moderate pace, experts said. "With the current exchange rate ... the balance of goods and services is, unfortunately, negative. It is one of the main factors sustaining the [hryvnia’s] devaluation," Blinov said. As UNIAN reported earlier, according to National Bank of Ukraine estimates, the fall in Ukraine’s GDP will amount to 7% by the end of 2014. The economic problems have been caused by military operations in eastern Ukraine, a trade war with Russia, and the devaluation of the national currency. At the same time, the unilateral reduction of trade duties by the EU, as well as support from international financial institutions create the opportunity for Ukraine to compensate for the fall in its exports to Russia, and support the country’s economic recovery.